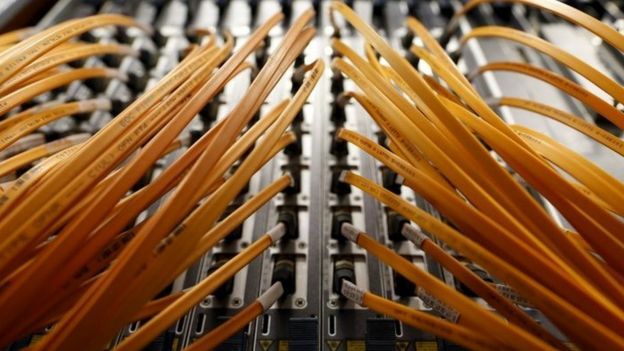 The government has formally launched a £400m fund to boost investment in "full-fibre" broadband. The aim is to offer speeds of up to 1Gbps to households and businesses. Rather than relying on copper cables to connect them to roadside cabinets, fibre-optic cables will run directly to their properties. The plan, announced by the chancellor in November, has been called "a drop in the ocean" compared with what will be needed to make "full fibre" the norm. Although many households and organisations do not currently need 1Gbps speeds - consumers need only 3Mbps to watch the BBC iPlayer in high definition, for example - the idea is to provide a "future-proof" solution. The Digital Infrastructure Investment Fund's goal is to boost the number of properties with access to "ultra-fast" fibre-to-the-property broadband over the next four years. At present, "full fibre" is available to only about one million premises, representing about 2% penetration. That contrasts with Spain, where the figure is 80%. The government is tapping private investors to bring the total sum to £1bn, and the money will be managed and invested by two fund managers - M&G Investments and Amber Infrastructure, which is part of Prudential.